The next DLC character for Dragon Ball Xenoverse 2 has been announced. Super Saiyan God Vegeta will be joining the game’s cast later in June 2019. Super Saiyan God form is not to be confused with the Super Saiyan Blue one, which focuses more on brute strength. Instead, it focuses more on predicting an opponents’ attacks and dodging them with ease to avoid taking any damage. 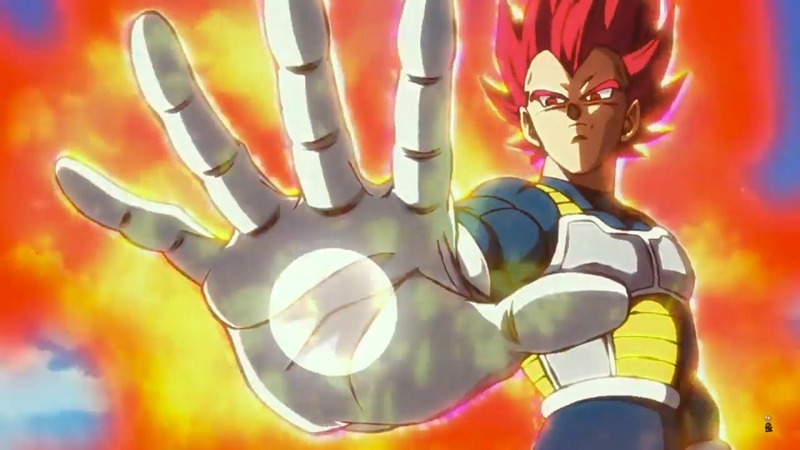 Super Saiyan God Vegeta saw his debut in the movie Dragon Ball Super: Broly. (I really like the way Vegeta looks here.) With Dragon Ball having such a large list of characters to pull from, thanks to so many iterations and installments, it is nice to see the Bandai Namco is continuing to add characters into Dragon Ball Xenoverse almost three years after its October 25, 2016 launch. Hopefully, this new take on Vegeta will no doubt be a welcome addition to an ever growing roster of characters. If you are unfamiliar with Dragon Ball Xenoverse 2, it is a mix of the classic combat you have come to expect when you think of a 3D Dragon Ball game and the online persistent world of an MMO. Throughout the story, you will use time travel to preserve important moments in Dragon Ball history and ensure that the original timeline remains intact. You can create your own character and watch their power grow, learning new skills and abilities from iconic characters as you progress through the game. You can also play as one of the many established characters throughout Dragon Ball‘s lengthy history. The game’s hub world of Conton can support up to 300 different players, and is over seven times the size of the original Dragon Ball Xenoverse‘s hub world. Are you excited to see Super Saiyan God Vegeta in Dragon Ball Xenoverse 2‘s roster? Let us know in the comments below!